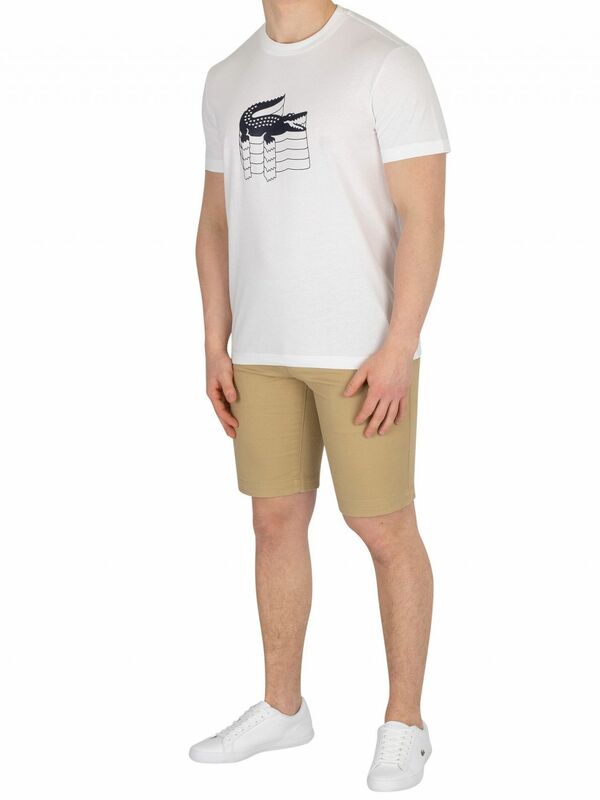 The Slim fit Chino Shorts from Lacoste comes with open side pockets, featuring closed back pockets with branded tag on one. 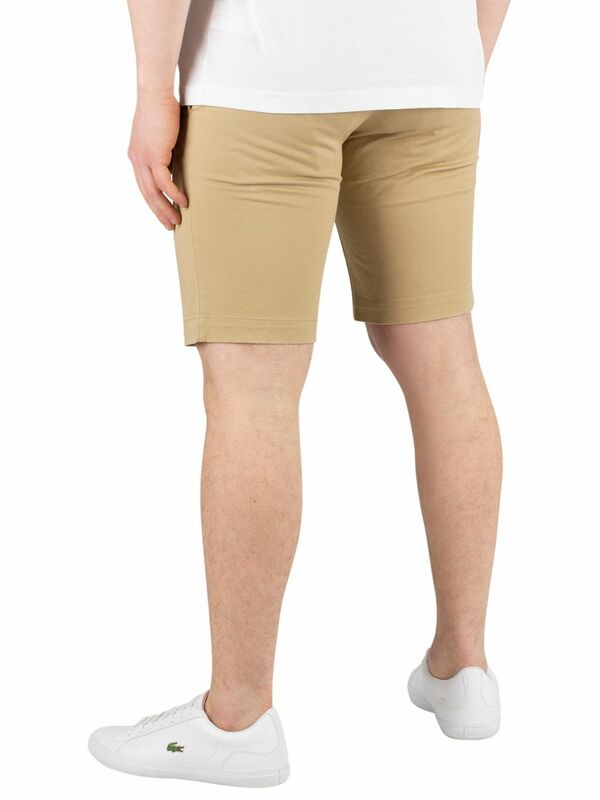 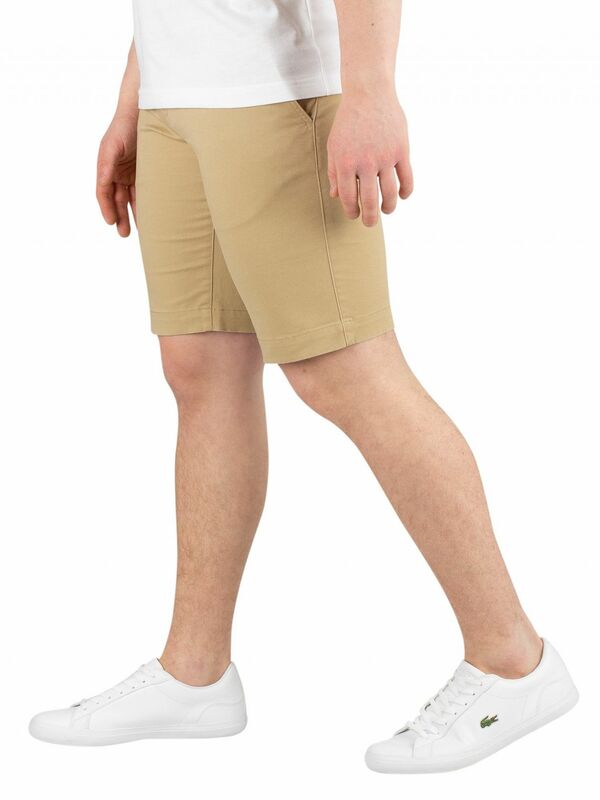 This pair of slim fit chino shorts also features stretch for comfort and freedom of movement. 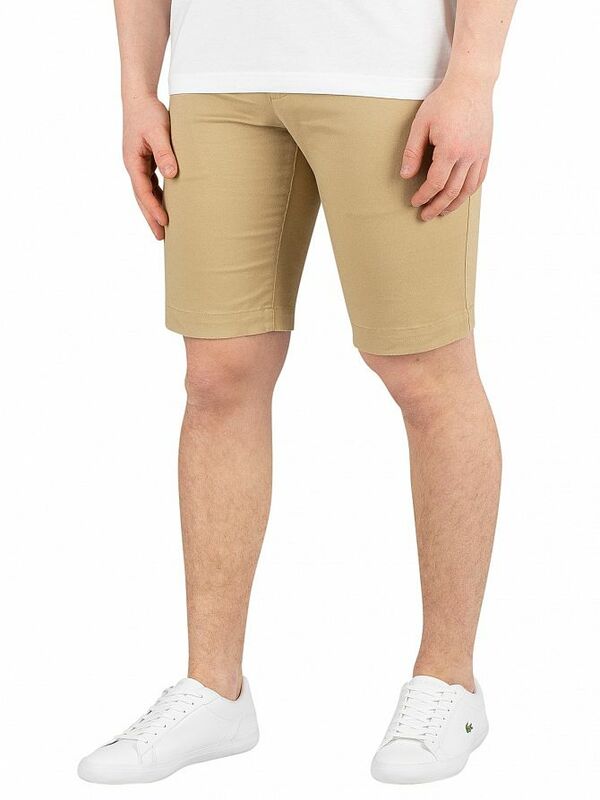 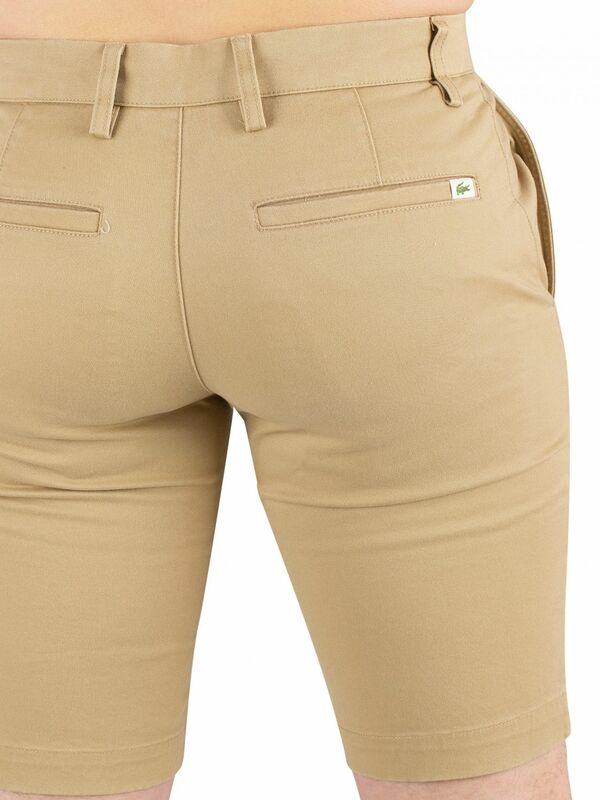 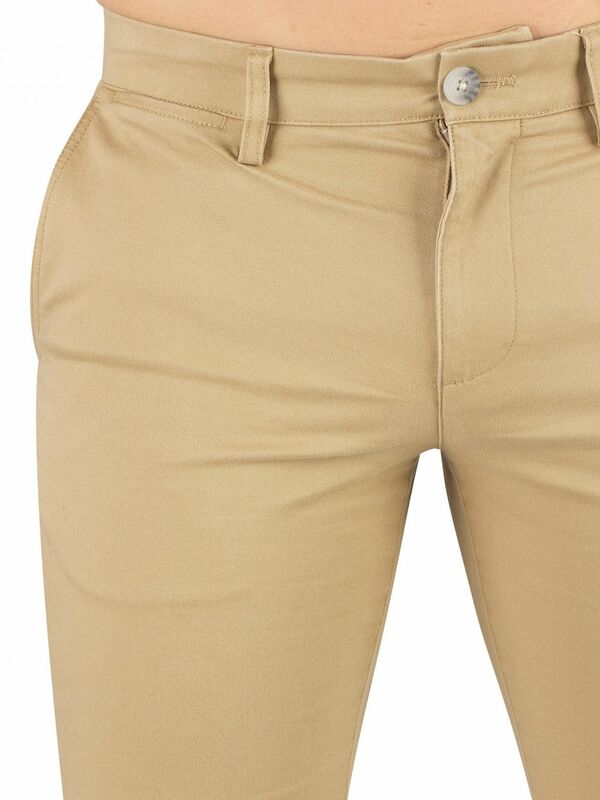 Coming in Beige colour, these chino shorts features a zip fly and button closure.